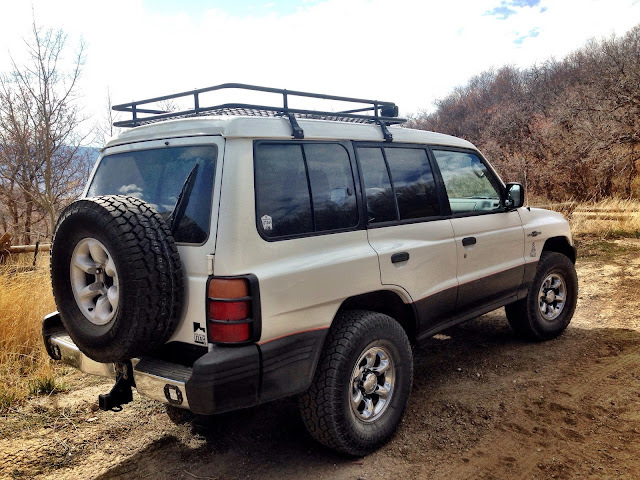 When sorting out the 2.5 I transferred some gear from the H3 build including this Blue Ridge Overland Gear. 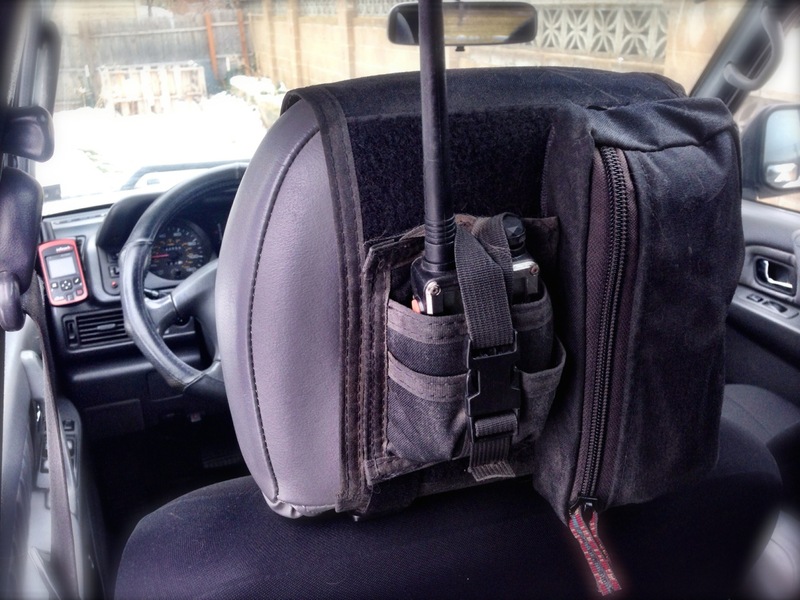 They're a company out of Virginia who make high quality MOLLE, hoop and loop, pouches and accessories for most any storage application in an adventure vehicle. Some of their stock is custom made to upgrade existing gear like fridges and store Goal Zero battery packs, and that's what caught my attention. I have neither, but I could see how I could adapt their products to my needs and get things where they belong. 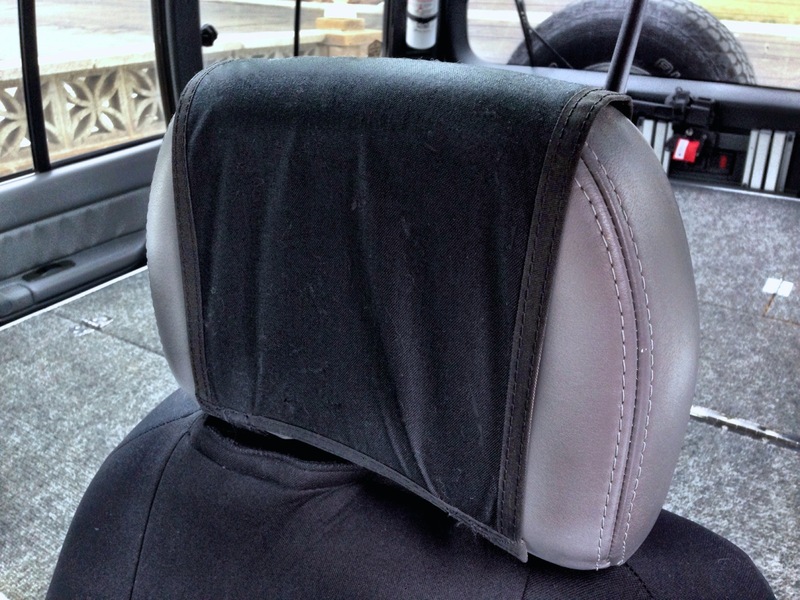 Blue Ridge makes an eight-inch headrest panel of loop material on the backside and a smooth, blank panel on the front. It creates a foundation to configure pouches for storage needs of items kept readily at hand. I added their Goal Zero 10 Battery Charger pouch to hold handheld comms and a 4x8x1 Medium VELCRO front zip pouch to the headrest panel. 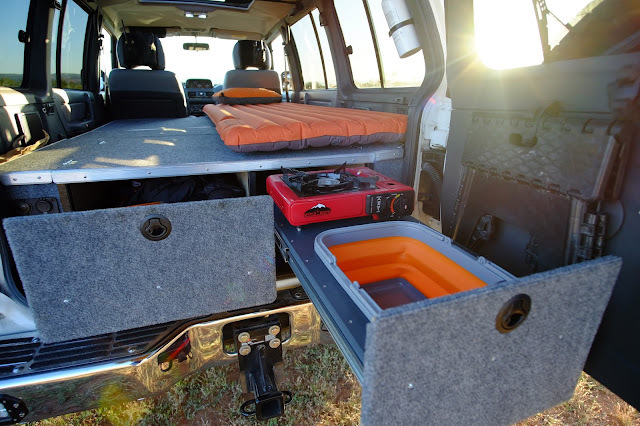 They both take up most of the loop real estate but provide ample room for smaller adventure necessities. Craftsmanship is excellent, materials are military-grade and each piece came with a card signed off by cutters, sewers and checkers.